No camping or hiking trip can be successful without the right equipment, and a top rated flashlight is a necessity. 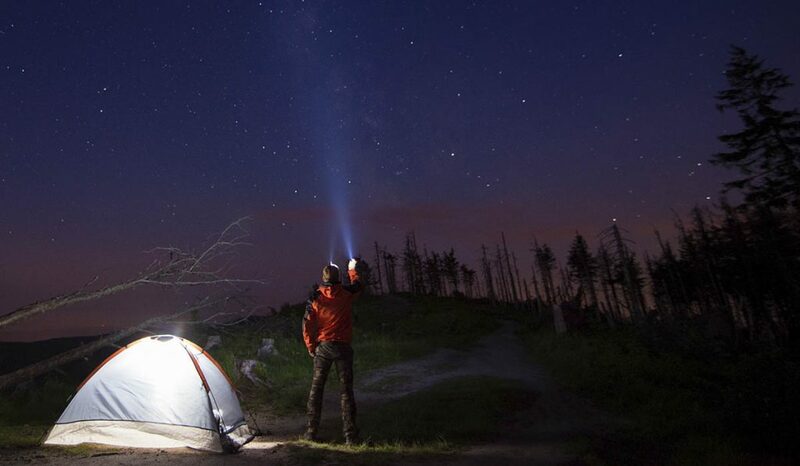 Even though headlamps are becoming popular, flashlights remain a good choice when you need a handheld lighting source. Flashlights are also a good choice when you need precision lighting or when you want a strong portable beam for signaling. There are many options when you’re looking for the right flashlight to suit your needs. In this blog we will talk about some features that you need to consider and some of the most popular flashlights in the market today. Basically light output refers to the lumens of the flashlight. This is the measure of the brightness intensity of the light coming out of the flashlight on the highest setting with new batteries. 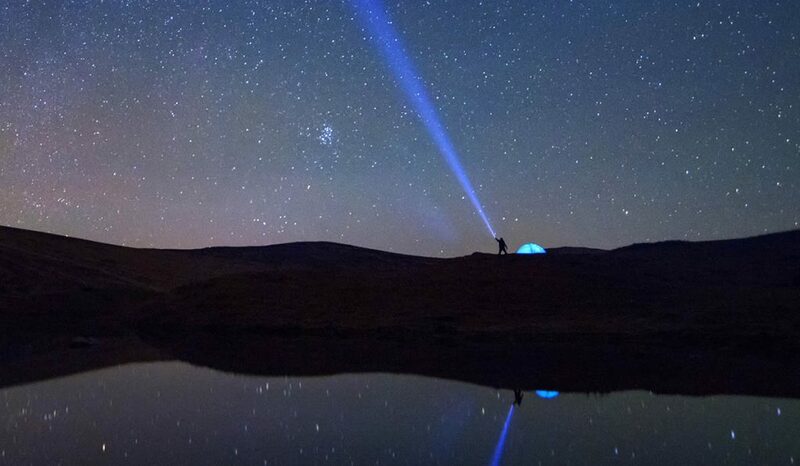 A flashlight with with a high lumen output is ideal for outdoors because it will illuminate surroundings and will make it easier for you to see in the dark. 20 Lumens is good enough for reading while 3500 will light up a hillside. A flashlight with 50 to 200 lumens is good enough for outdoor use. Your flashlight should also have decent beam distance. This will allow you to see some distance in the dark. 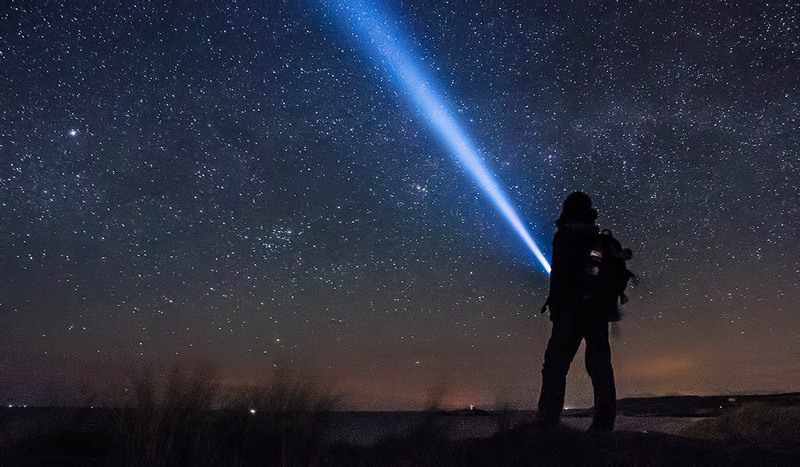 Generally, flashlights with high lumens also have good distance. Battery life is usually measured in hours. In the wild most of us don’t have a means of charging batteries or enough space to bring tons of batteries. The battery type you choose should last long enough for the duration of your trip with room to spare in case of emergencies. Generally, there are 2 types of batteries: disposable and rechargeable. The latter we are familiar with and it is always good practice to bring spare batteries for your trip. Rechargeable batteries on the other hand are more expensive but more cost-effective in the long run. Just make sure that all batteries are charged before bringing them along. Campers and backpackers are always looking for ways to save space and lighten their load. In the case of flashlights, a good choice is something that is lightweight and small. However these features should not necessarily compromise power and battery life especially if you plan to drive to your camp site. The V1-Pro from J5 Tactical is very durable, budget priced aluminum alloy flashlight that has features you normally only see on higher priced models. This compact, LED light boast a brightness of 300 lumens which is impressive considering it takes only one double A battery. The clip does a good job of holding it in your pocket or backpack pouch, so it is ready to go when you need it. The J5 V1-Pro may very well be the best flashlight available anywhere under $15. 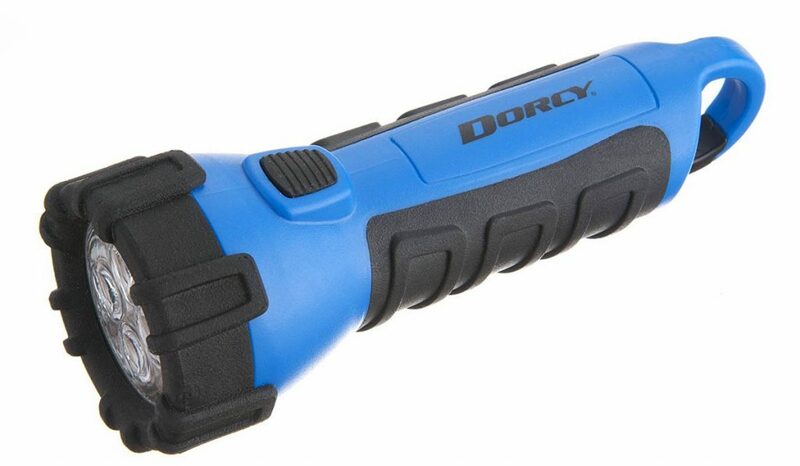 At only 55 lumens the Dorcy flashlight may seem like it shouldn’t be on this list, but the fact that it floats makes it a perfect option for boating, paddle-boarding or kayaking after the sun goes down. The added feature of a carabiner clip makes it really easy and convenient to clip to a backpack or belt loop to ensure you have it ready when it is needed. This compact well designed flashlight from Olight packs a big punch in spite of it’s small size. It produces a light output of 500 lumens from it’s powerful LED bulb. This power comes at the price and slight inconvenience of using a Cr123A battery which are more a little expensive harder to find than standard size batteries. The S1 is constructed of tough aluminum alloy body that boasts a water resistance level of IPX8. The S1 ships with a nylon holster that has both a D-ring and a belt clip to give the user some great EDC options. 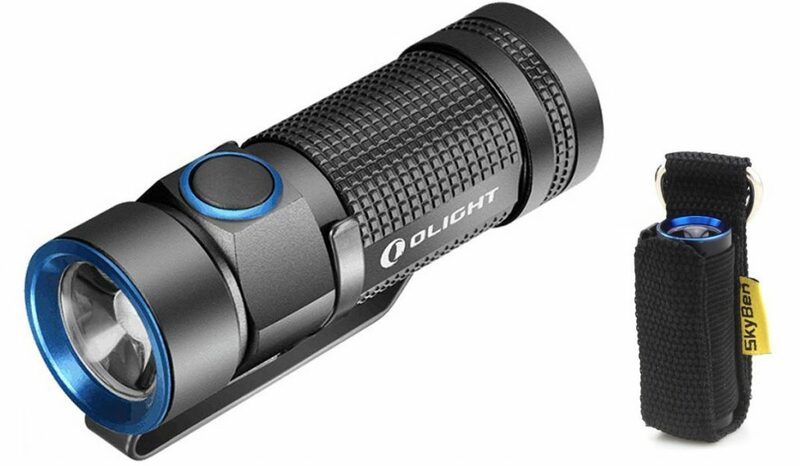 If you are looking for the best compact flashlight under $50, the Olight S1 is tough to beat. 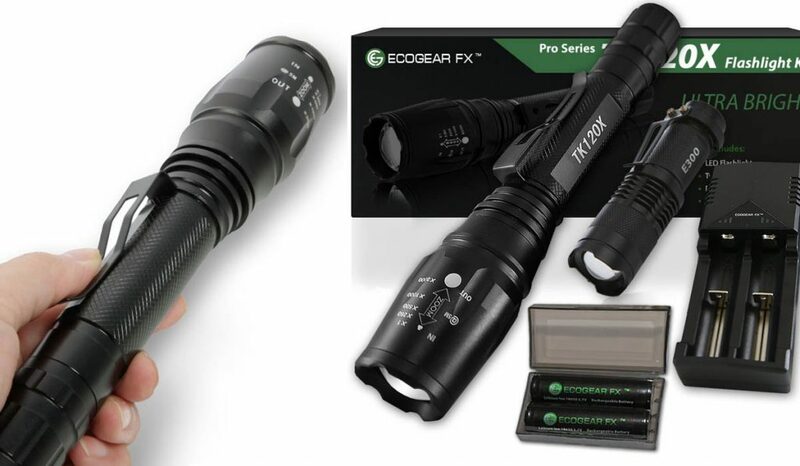 This great LED flashlight from EcoGear FX has everything you need for a camping trip. It has 2 rechargeable batteries, a charger and a key-chain flashlight. It has 2000 lumens max and is constructed with durable aircraft grade aluminum alloy. 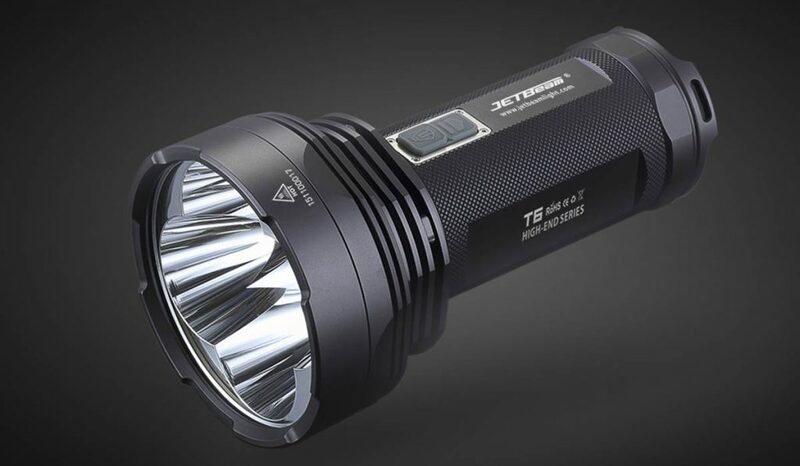 The TK120X is also affordable at approximately, water resistant and has 5 light modes. It can be seen as far as 4000 yards away, and it feels comfortable in the hand and is easy to use. The down side of this flashlight is that it changes mode every time you turn it off. 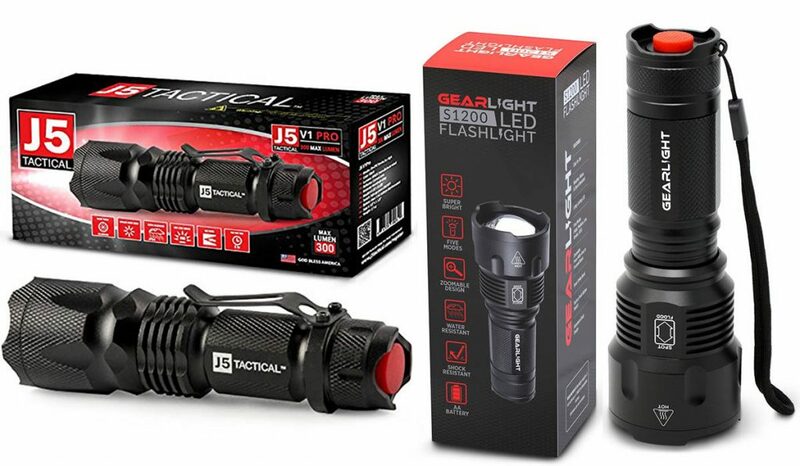 The T6 is by far the most expensive flashlight on this list, but if you are looking for maximum power and durability than this flashlight is tough to beat. It is rated as 4350 Lumens with 750 meters beam distance. It has 7 modes and is not very heavy considering its rugged build. The T6 has a shoulder strap for easier carrying, is waterproof and has a very useful power indicator. 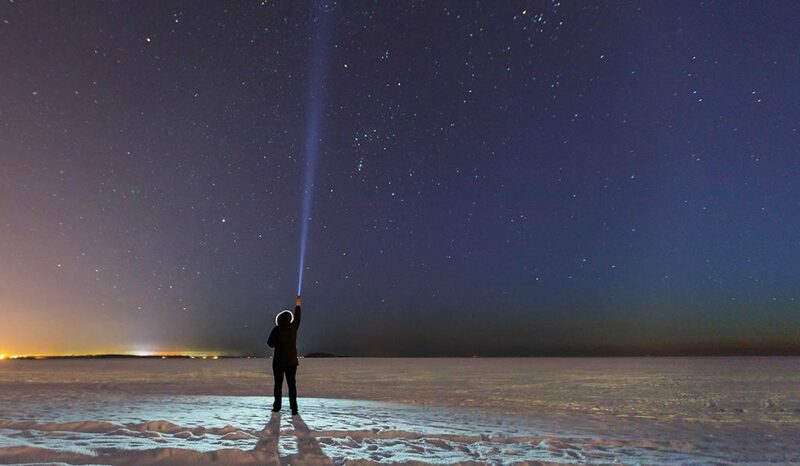 The long beam of this flashlight covers amazing distances and the brightness is very amazing. Best of all, it comes with rechargeable batteries and a charger. A flashlight is always good to have around when you need to find something at the bottom of your backpack or when you need a bit of light in your basement. Evaluate your needs and requirements before buying a flashlight. This should make it easier for you to find something most suited for your lifestyle.